Construction sites aren’t all the same. Because of this fact, security solutions for construction sites are not one-size-fits-all, either. And because construction sites can suffer from many different security issues, ranging from theft to intrusion to insurance scams, it’s important to cover all bases when considering construction site security. 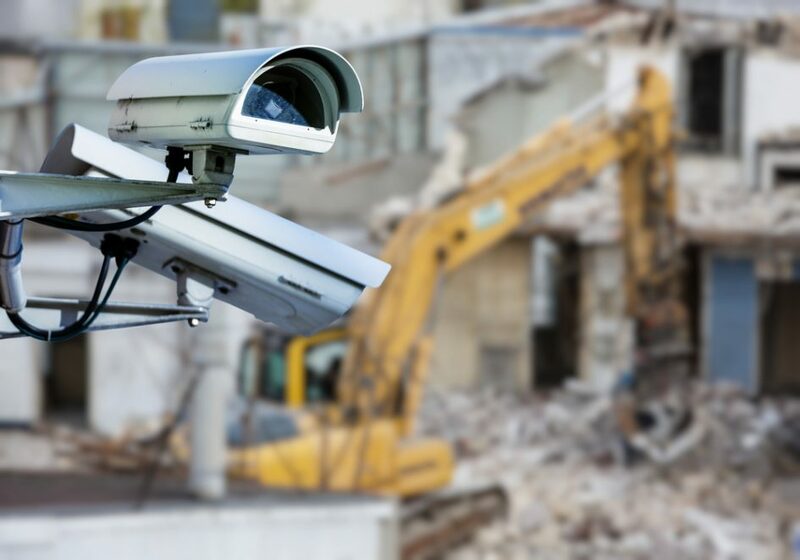 Whether you own a construction company, or whether you’re just in charge of a construction site for a short time, you can make your site safer, more efficient, and easier to work in by implementing the right security and surveillance options. It’s important to know what sort of solutions work, and how they can be best implemented in your context. The most common construction site crime is theft. If you’ve read any of our other blogs, you know that theft statistics at construction sites are sky high. A report from Rutgers University even suggests that over the life of an average construction project, theft can result in an overall loss of up to 2% of the total project budget. Theft can occur from both within and without, meaning that employees, visitors, or intruders may steal from your site. Theft may include the taking of tools, equipment, supplies, or building materials, but it may also mean the theft of onsite petty cash, vehicles, or the personal effects of people at the site. It’s hard to keep an eye on construction sites twenty-four hours a day. They are often sprawling zones that are difficult or impossible to protect with traditional means like fencing, gates, or walls. Especially during off hours or during the night, intruders and vagrants can enter your construction site and do damage to your property. This might mean destroying in-progress construction elements, vandalizing equipment or tools, or doing damage to work vehicles. Vandalism is costly, unsightly, and can slow down construction work as repairs are made and damage is cleaned up. When you have a large number of people working at or visiting your construction site, it can be impossible to keep tabs on everyone at all times. This can lead to many dangerous or difficult situations, including real accidents that can injure people at the site, or intentional “accidents” meant to defraud your business through false insurance claims. The right security options can help you keep your employees safe, and protect your business from illegitimate insurance fraud. There are many strategies that can be implemented to secure a construction site, but the best strategies involve using technology to make security easier to implement and more affordable to fit into your budget. No matter which security measures you choose to implement, it’s important to let people on your construction site know that those measures are in place. Proper and effective signage indicating the presence of alarms and electronic monitoring devices will stop most would-be criminals from committing a crime on your construction site in the first place. Most crimes occur under the darkness of night when no one is around to see them. Implementing effective lighting at your construction site will often keep intruders from even taking a second look at your location. Proper lighting also makes it easier to implement other security strategies, such as security cameras and makes it safer when emergency responders have to respond to a security incident. The presence of an onsite security guard is sometimes considered the ultimate in construction site security. Having “boots on the ground” means that you’ll have a human presence at your site to respond immediately and effectively to any security threat. The only disadvantage of an onsite security guard is the high cost involved in employing such a security officer. In many cases, electronic measures can be just as effective at a fraction of the cost. Long gone are the days of poor quality closed-circuit security cameras. Today’s cameras provide high definition video, and they can be linked through IP connection to create an integrated network of visual surveillance. Cameras can be fitted with pan-tilt-zoom technology, thermal capabilities, and other high-tech add-ons. Other forms of electronic detection can include motion detectors and vibration sensors that provide electronic detection even when visibility is limited. Mobile surveillance units are portable security technology than can be implemented virtually anywhere and moved at a moment’s notice to respond to variability in security threats. These convenient units run on batteries, meaning they need no on-site power. They can be equipped with a full range of surveillance technology, alarms, lights, and detection devices. They can also be monitored and controlled remotely, making them the most flexible and adaptable of construction site security measures.